The workmanship of injection shoes: The soles of injection shoes are generally made of plastic. Plastic injection molding is a production method that injects the rubber directly into the mold vulcanized, fabric or leather upper from the barrel. 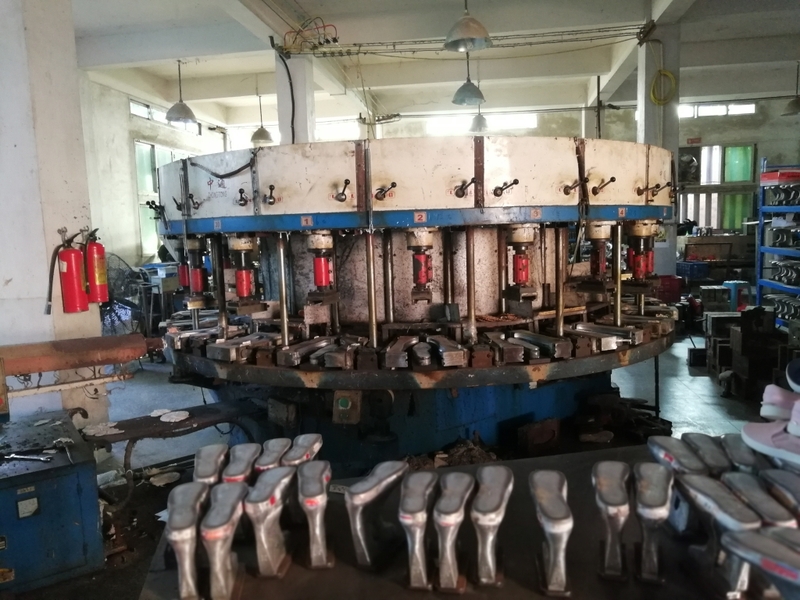 Injection molding under a certain temperature and pressure, giving the upper and the sole a certain flexibility and elasticity, and combining the two together, so it is called an injection shoe. Leather shoes with injection molding process are also known as injection shoes. 2. The product quality is excellent, the upper and outsole will not be separated. It is not going to have glue out or less glue problem as cemented shoes.